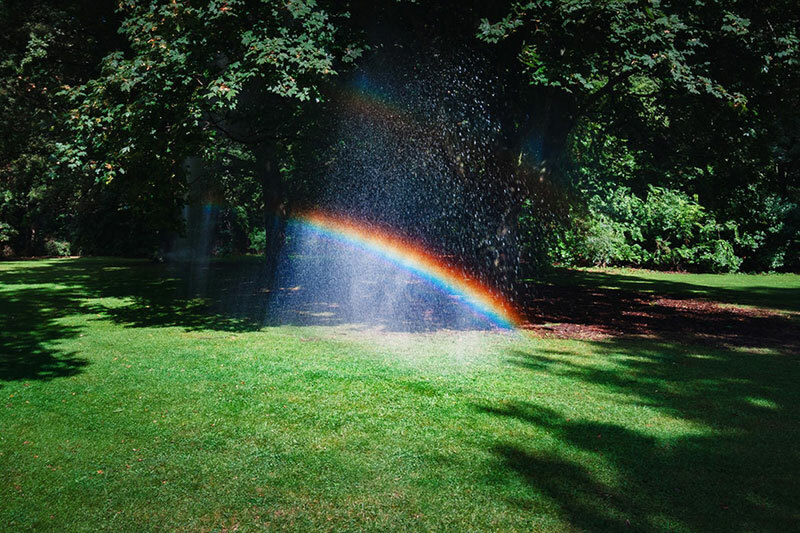 LAWN SPRINKLERS WITH A PROVEN TRACK RECORD. The most effective solutions for your landscape watering requirements. Over 15 years of excellence. It is our first goal to provide all addresses of Richmond Hill with affordable lawn sprinkler sales and service that just can’t be beat. Understandably, every company in the phone book claims ownership of this policy but WE ACTUALLY DO IT! We are committed to providing solutions for your landscape watering requirements, using the proven track record and quality of Hunter and Rain Bird irrigation products. Working with the lowest overhead costs possible is one of the secrets of our success story in Richmond Hill. Our training and hands on experience levels surpass many of the competitors, and our personal attention to you and your property is guaranteed. 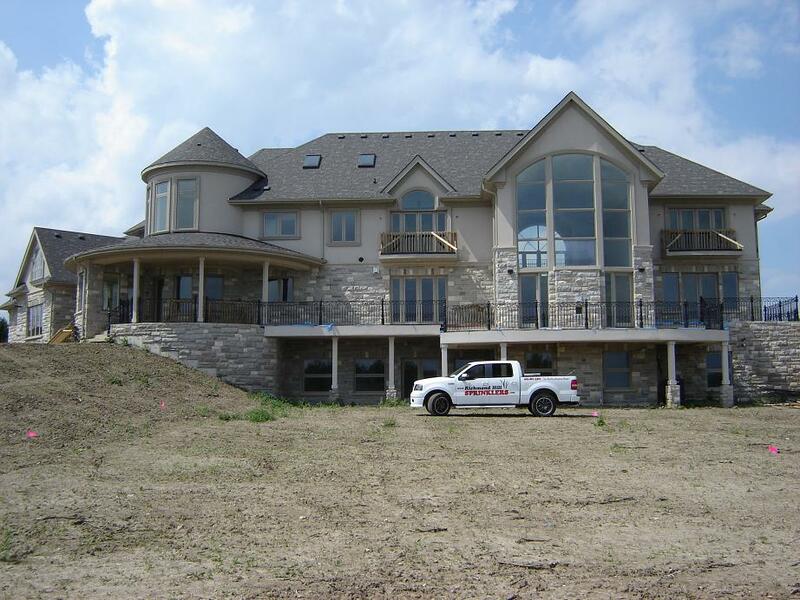 We have been in business for fifteen years, offering professional service and installation of the best irrigation products available, while consistently meeting the consumer’s demands for reasonable prices. Contact us today for a complete assessment of your properties watering requirements. All estimates are free and are done on a one-to-one basis. We sincerely look forward to doing business with you. May we service your property today? Richmond Hill Sprinklers has just installed sprinkler system for my front and back yard. I am so happy to have hired a great contractor. They are very professional. They know what they are doing. They have an amazing machine to bury the pipes like a sewing machine. Nice, clean and quick. One thing worth to mention. I have some area in backyard interlock was damaged, and the pipes happen to pass by. They fixed the damaged interlock… read more when they put back the bricks. Just that, it might cost me a couple hundred if I hire someone else to fix it. And they did it for me for free. Really appreciate! Robert is a nice and knowledgeable guy. It was so nice I can communicate with him with prompt email replies. I feel he is always beside me since I can reach him easily with email. I recall it was so hard to contact other contractors. Always voicemail, never reply. With Robert, communication is so efficient! If you happen to live in Richmond Hill or somewhere close, they should be your first choice! Prompt, courteous, professional, good quality and value. Sums up their services in spades. I have had my sprinkler system in place for the past year and it’s been working perfectly. My lawn looks great and it’s such a timesaver to not have to water the lawn myself. The team promptly and consistently respond to any email queries and are very proactive with their communications throughout the year. I can't say enough about the service and quality of work from Richmond Hill Sprinklers. 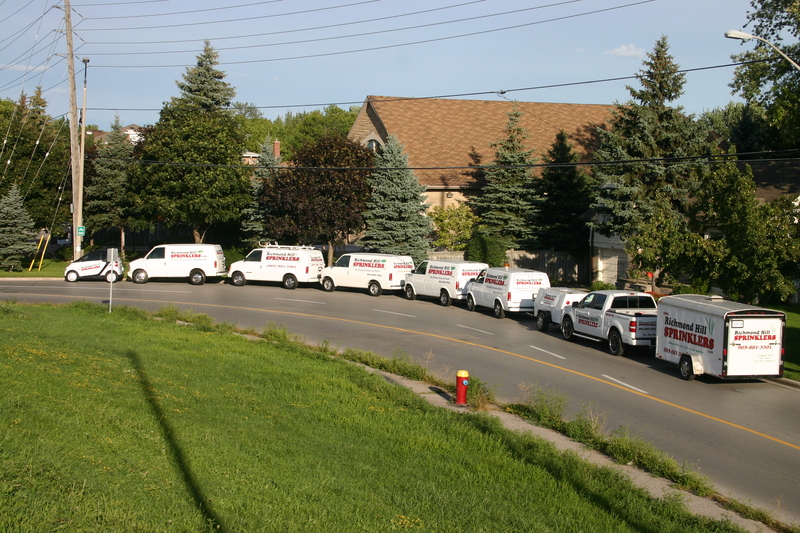 When my existing system spring a large leak my original sprinkler company was nowhere to be found so I called Richmond Hill Sprinklers on a Sunday and they actually answered the phone and sent Vic (great guy) out Monday morning to complete the work. He went above and beyond and the price was very reasonable. I found my new sprinkler company. Strongly recommended. Excellent services! Rob and Alan are very responsible and skilled people. 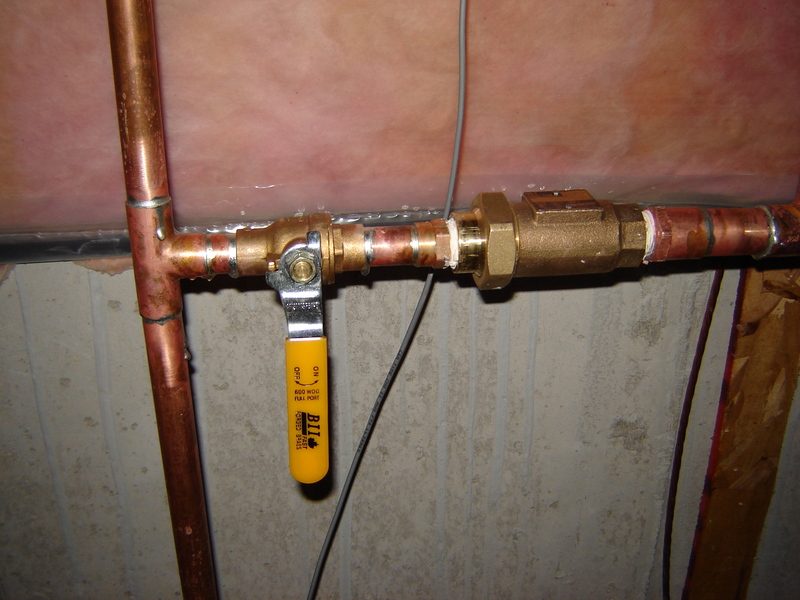 After the initial installation, there was a sound in my home plumbing system. With one email, Rob came back the next day, performed trouble shooting, replaced the control panel and fixed the problem. Very satisfied! Rob is fantastic, they came to move some of my heads as I was doing some landscaping and add some additional heads. Always prompt, friendly, knowledgeable and they do a great clean job. Would always recommend them! Rob and Alan were fantastic, while I had my lawn all redone I had him come over to get some sprinklers installed. Great service, fantastic quality of work and had a very good attitude towards their job. I recommend them. I have been using their service for the last 2 years now. Very punctual. Knowledgeable and friendly staff. Price is fair. Love the fact that you can correspond with them via email. RHS has been servicing our sprinkler system since we moved into our home 6+ years ago. When we had outside renovations, they were there to advise / move sprinklers. They are so courteous, prompt and professional! Highly recommend them. 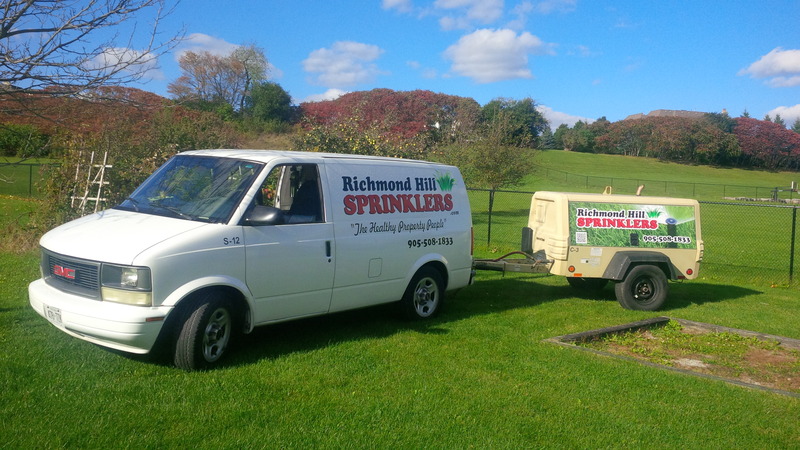 I called Richmond Hill Sprinklers after my original company went missing 2 years ago and they have been excellent. They always show up, pricing is fair and a pleasure to deal with. Best sprinkler company that I have dealt with. We will winterize every new installation for free at the end of the first season. 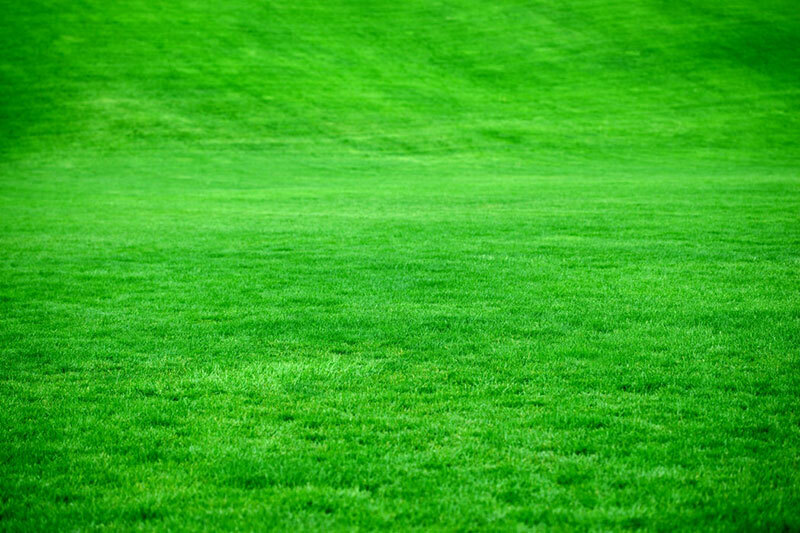 We will apply a high quality fertilizer to every new installation for a guaranteed green result. We have been in business for fifteen years, offering professional service and installation of the best irrigation products available, while consistently meeting the consumer’s demands for reasonable prices. 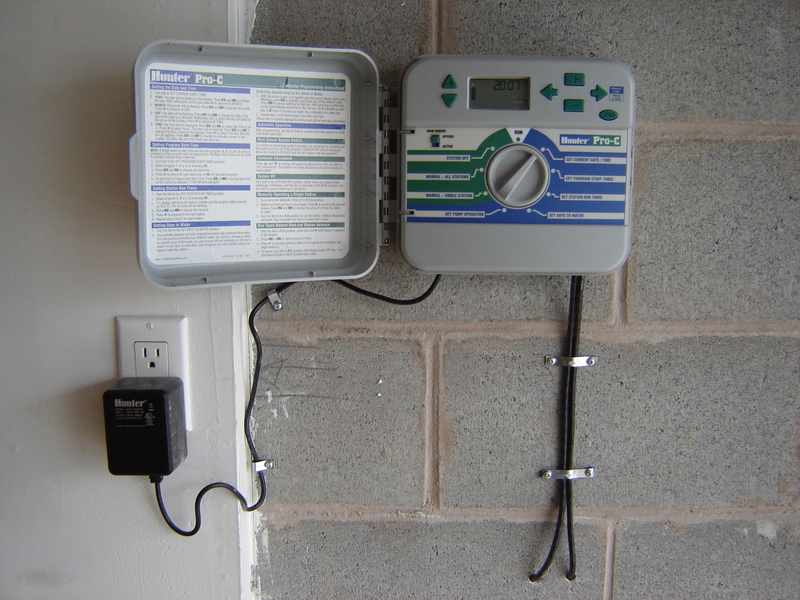 Winterizing your sprinkler system will provide protection against the damaging forces of cold temperatures. Using high volume modern air compressors, we can get the job done at a moment’s notice.